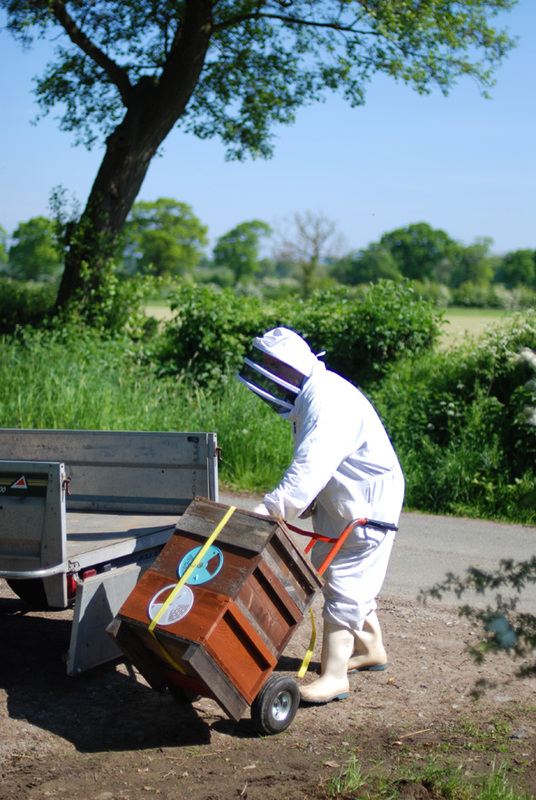 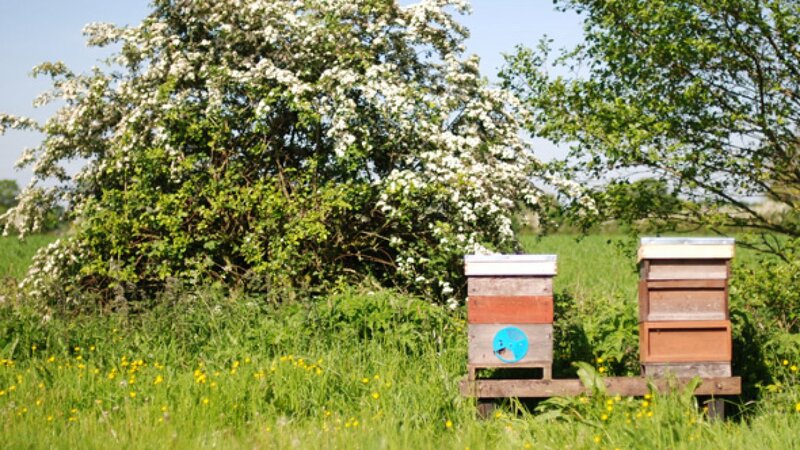 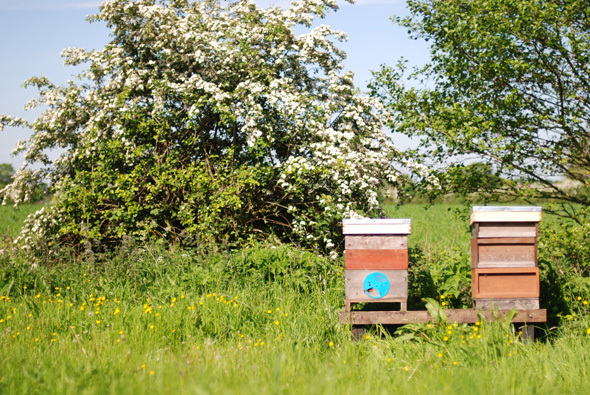 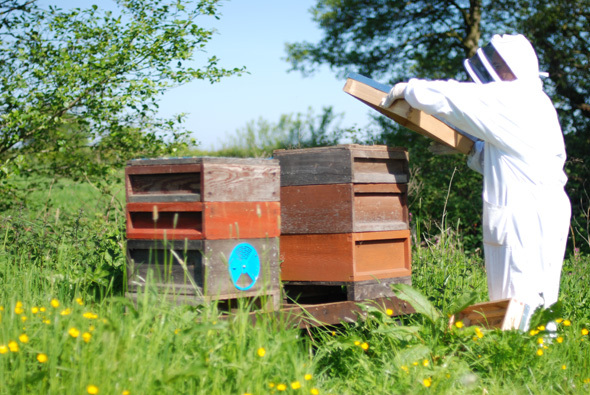 To welcome in the beautiful Spring weather (finally) we have just taken delivery of two hives and a swarm of bees! 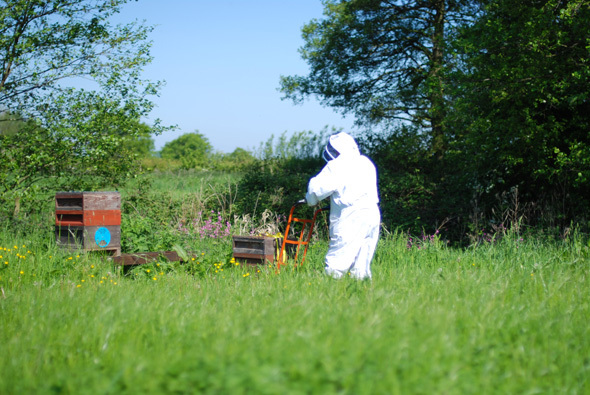 We have set their homes next to our wild meadow and and flower area which they will hopefully pollinate for us. 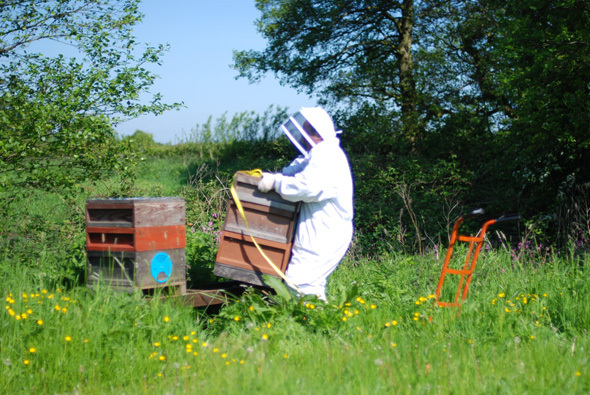 It is a young swarm of bees and their is room in the brooding boxes (the deeper boxes at the bottom of each hive) for the hive to breed and grow.